Below are some examples of ongoing Centre of Excellence activities. Perley Rideau has long partnered with post-secondary institutions to train students and to conduct research. In May, 2017, we expanded our partnership with Algonquin College significantly by creating a classroom a living classroom students of the Personal Support Worker program. Starting in 2017, PSW students attend all classroom instruction and to acquire hands-on practical experience at Perley Rideau. This immersive experience will help them succeed as professionals and help Perley Rideau and other homes meet their staffing needs. Considering the increasing demand for healthcare by seniors, demand for well-trained professionals will continue to increase. In 2016, the Registered Nurses’ Association of Ontario (RNAO) selected Perley Rideau through a competitive process to become a Best Practice Spotlight Organization (BPSO). RNAO develops and promotes the use of evidence-based best practices – interventions proven to improve health outcomes. Although Perley Rideau staff have long followed best practices when caring for residents, new practices emerge regularly, and must be evaluated and standardized. Over three years, in partnership with RNAO, Perley Rideau is implementing and evaluating best practices related to four areas: pain management; falls prevention; skin and wound management; and screening for delirium, dementia and depression to earn the official BPSO designation. By putting the latest research into practice, reducing variation in care and eliminating interventions that have little effect, the initiative promises to further improve the quality of care that we deliver to residents. During 2017, Perley Rideau implemented a practice known as Comfort-Care Rounding: checking in on every awake resident every hour in a formal, documented way. Research shows that comfort-care rounding improves health and well-being. Rounding has been standard practice at Perley Rideau for many years, the process has now been formalized and staff complete eight specific steps with each awake resident. The result is a drop in the number of resident falls and residents are much happier with the response time of staff. The fundamentals of that engagement process have also been adopted to include leader rounding on staff. The first step of SeeMe™ is to understand the person’s degree of frailty by completing a Comprehensive Frailty Informed Assessment. This assessment provides a detailed overview of different drivers of frailty, including the major drivers of cognition, function, and mobility, and assigns an overall Clinical Frailty Scale score. 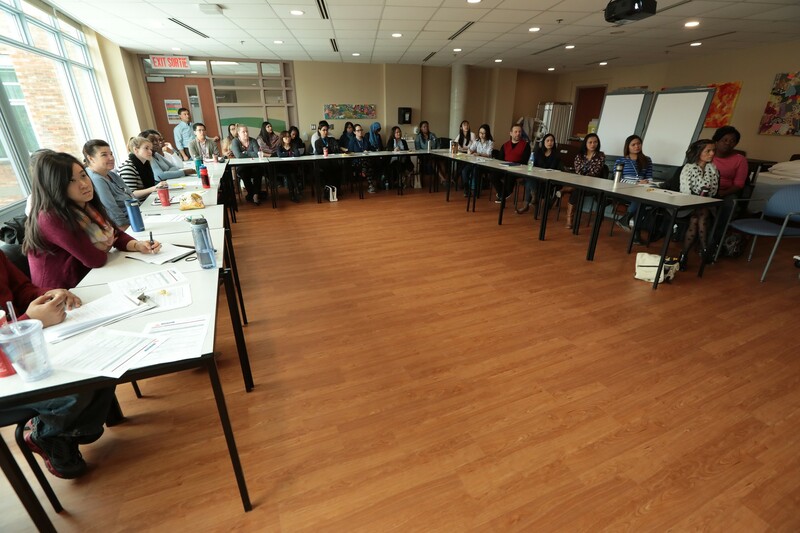 Following the assessment, a care conference is held with the person and/or family to discuss the overall health picture and considerations for future decision-making. During this meeting, potential treatment risks are considered in the context of frailty and individuals are invited to discuss their goals, values, and preferences with the care team. There is also ongoing dialogue outside of care conferences, particularly when there are significant changes in the resident’s condition. These discussions help the care team support the person and/or family in making informed decisions about the next steps of care when acute health events arise. Lifelong Learning consists of a series of low-cost courses and lectures available inside Perley Rideau. Participants can take advantage of opportunities to learn, grow and to connect with others with similar interests, without the pressure of grades and exams. 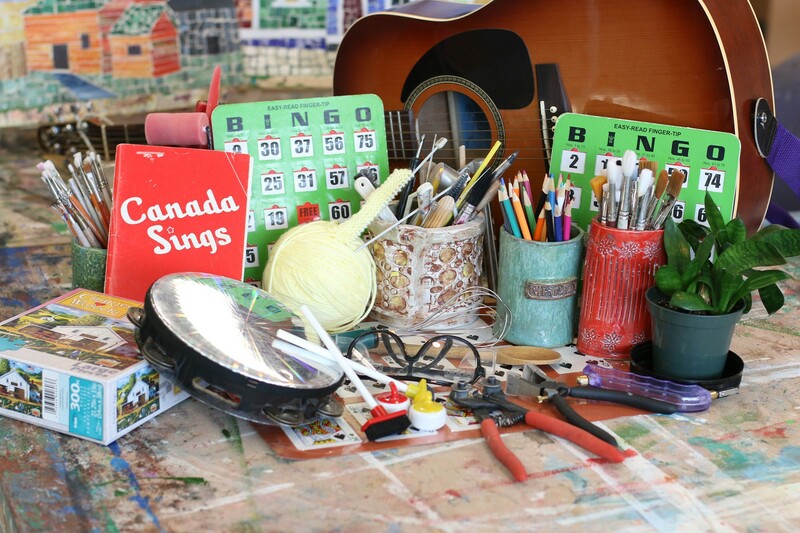 Topics include everything from art history and memoir writing, to learning to play the ukulele. Lifelong Learning increases our contribution to the community and allows us to share our expertise. In 2017, a new website was launched that shares our expertise in therapeutic recreation and creative arts with people who live outside the Perley Rideau long-term care rooms. A generous grant from the Centre for Aging and Brain Health Innovation (CABHI) enabled us to create and post videos and articles providing engaging and interactive content along with professional guidance for caregivers on how to support seniors through this free, online resource. activeperleyrideau.com is an interactive website featuring more than a dozen original videos on everything from flower arranging and chair-adaptive yoga, to laughter therapy and painting from memory to benefit seniors as well as caregivers. The Seniors Quality Leap Initiative (SQLI) is a strong community of practice with 13 committed member organizations and nine strategic partners across North America. Its mission is to enhance the quality of life and care for seniors by utilizing a structured approach to quality and performance improvement and disseminating recommendations to the broader post–acute and long-term care sector. Perley Rideau has been a proud member of SQLI since 2015. As a result of our membership in SQLI, Perley Rideau participates annually in the InterRAI Quality of Life Survey for long-term care residents. Survey results indicate high levels of resident satisfaction and have led to improvement projects in resident and family engagement. In 2017, Perley Rideau reached an agreement with the Province of Ontario to open a 20-bed Specialized Behavioural Unit (SBSU). The Unit features a secure environment and provides safe, enriched care to people with dementia whose are exhibiting responsive behaviours. The addition of this special designation increases Perley Rideau’s contribution to the community, and creates leadership and training opportunities for staff. Sub-Acute Care for Frail Elderly (SAFE) is a new and innovative level of care that promises to improve the health and well-being of frail elderly patients hospitalized due to surgery, illness or accident. 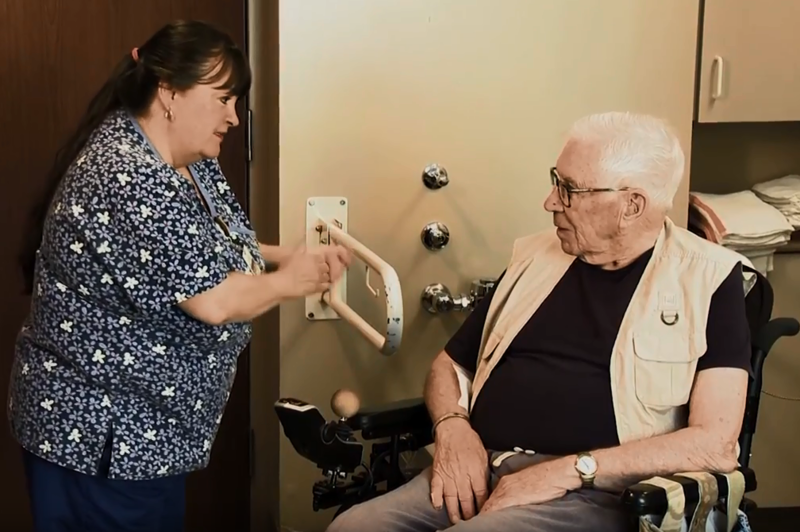 Under SAFE, these patients transfer from an acute-care hospital to a special 20-bed unit at The Perley and Rideau Veterans’ Health Centre, where they access the medical and rehabilitative supports needed to recover fully and return to their residence. SAFE is a partnership involving the Perley Rideau, The Ottawa Hospital (TOH), and the Champlain Local Health Integration Network (LHIN). SAFE supports Perley Rideau’s goal of leveraging its expertise to become a Centre of Excellence in frailty-informed care. The Interprofessional Clinic at Perley Rideau is located on the main level of Perley Rideau, and offers services in audiology, occupational therapy, physiotherapy and speech language pathology. The clinic will serve as an interprofessional clinical training center for University of Ottawa Health Science students will gain exposure to the wide array of services offered at Perley Rideau while applying academic learning in a dynamic real-world context. The Interprofessional Clinic also offers continuing education workshops, courses, and presentations for clinicians, educators, and other individuals in the community interested in learning more about new health care practices or practical health-related strategies. Research is also an important factor to drive forward innovative practices in health care and education and will be conducted by the Interprofessional Clinic at Perley Rideau clinicians or faculty from the University of Ottawa.